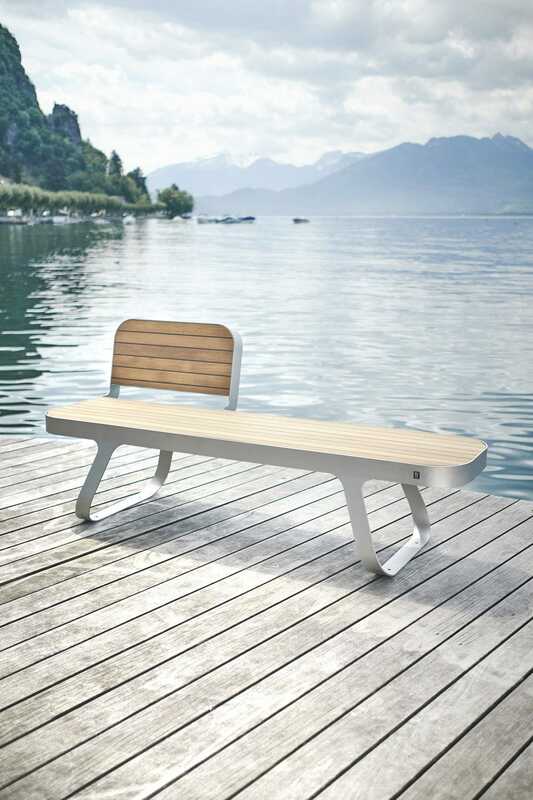 The Epure bench is a furniture inspired by the nautical universe, it invites to the contemplation of the most beautiful points of view. The marriage of steel and oak give a contemporary personality to this range that will embellish the spaces at the edge of the water, seaside, or strong attraction. 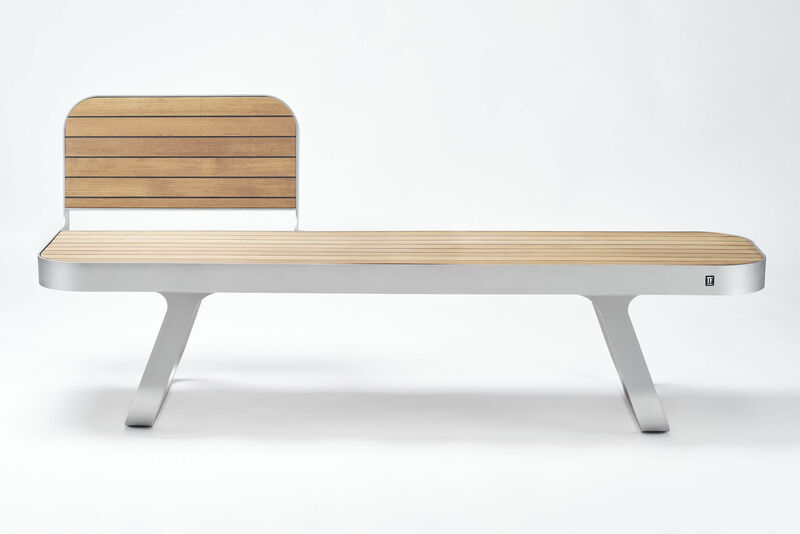 The first born of this model is a sculptural bench monobloc of 4 places in sandblasted stainless steel. 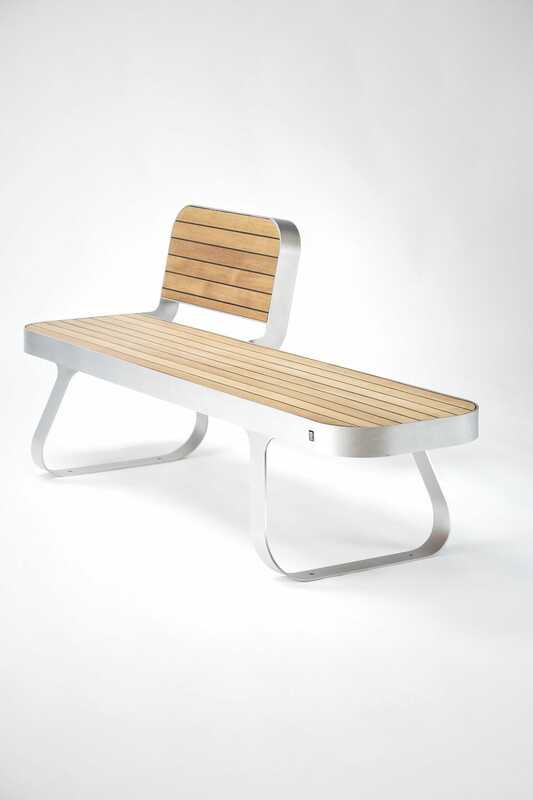 Subsequently, the range has diversified with a modular bench with optional backrest and armrests. 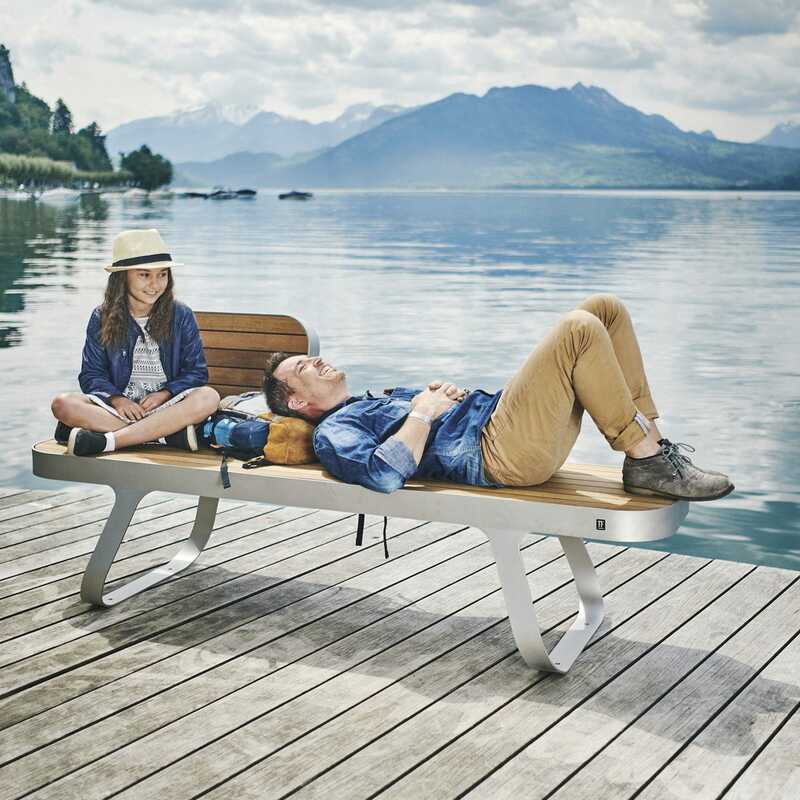 Thus, the bench can be offered in bench, bench opposite, 4 seats with double backrest … A truly customizable bench!